Spending less on a product doesn’t always mean you’re saving money. That is true when selecting the best creep feed for your calves. 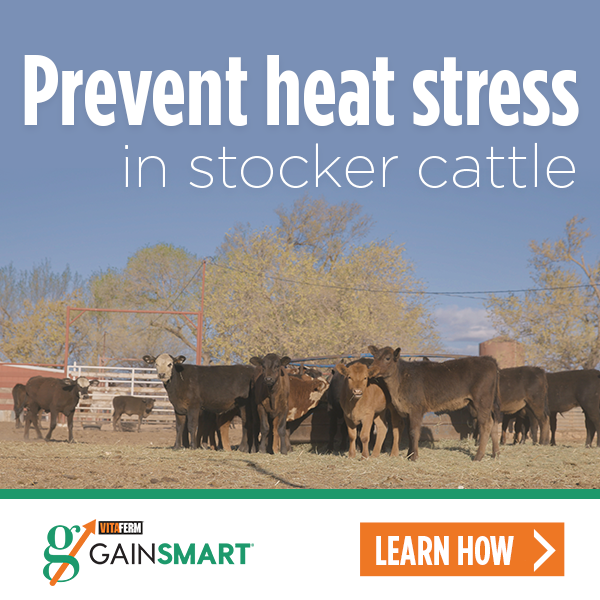 Supplementing calves with creep feed is important to their growth, as it provides a source of energy that most calves won’t get while transitioning from nursing to grazing forages. And since there are so many feed options available, producers really need to take time to study the labels to select the best option for their calves. Peets Feed started adding Amaferm to its creep feed in 1996. The Amaferm helps increase fiber digestion, which in turn makes more energy available to the calf. “Amaferm is the cheapest way to provide extra energy to your calves,” Glaubius said. Adding Amaferm to creep feed makes the most sense when forage quality is low to get the most energy utilization. However, the Amaferm advantage will also be evident if you are feeding a high-quality creep feed while grazing high-quality forages. Studies have shown that feeding just 2 grams of Amaferm daily will boost gains by nearly a quarter of a pound per day. And at just .03 cents per day, the cost is only about $6 per ton of creep feed. With calves worth $1.50 per pound at .25 pounds that is a 38 cent increase in weight-gain value at a cost of .03, or a 10:1 return. Glaubius suggests investing some time reading and comparing labels when shopping for creep feed, noting that some companies are pretty vague on their list of contents. If your current creep feed doesn’t contain Amaferm, perhaps you should start a conversation with your feed mill to get Amaferm added. Many feed mills will have Amaferm in a pelleted form; however, there are a variety of products that could be added that include Amaferm.